According to the National American Indian Housing Council, some 90,000 American Indian families are homeless or under-housed, and 40% of on-reservation housing is inadequate. 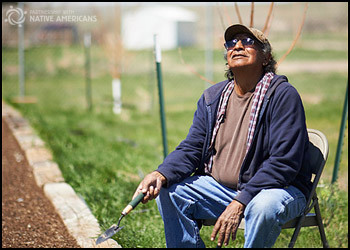 Many people believe the U.S. government meets the needs of Native Americans through treaty benefits and entitlements. They perceive Native Americans receive free housing, healthcare, education, and food; government checks each month, and income without the burden of taxes. Reality is that federal treaty obligations are often unmet and almost always underfunded, and many Native families are struggling. Here are five facts to know about Native funding in the U.S.
A “casino payout” occurs when tribes disburse unused profits from Indian gaming to individual tribal members for their personal use. However, simply operating a casino does not guarantee tribal riches or mean that tribal members receive such payouts. Contrary to popular belief, fewer than 15% of Indian tribes operate prosperous casinos. In addition, only the 573 federally recognized tribes are eligible to operate casinos more than 400 tribes in the U.S. are not federally recognized.